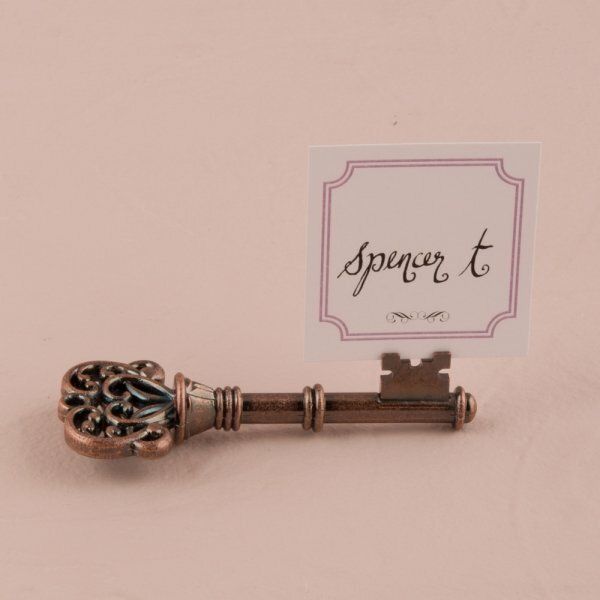 Add a vintage touch to your event tables with our Vintage Key Place Card Holders. Use them as place card holders to effortlessly seat your guests or you can also use them to hold instruction cards on your guest book or dessert table. 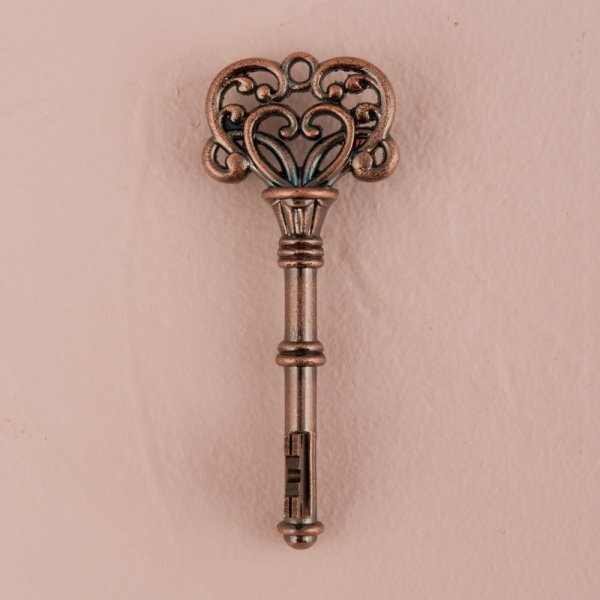 A card of your choice fits securely in the bit of the key for a unique look. 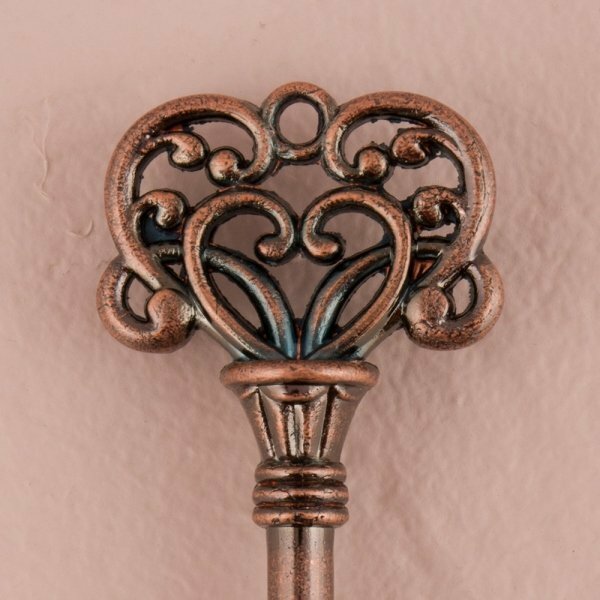 Key place card holder is crafted from zinc alloy with a charming aged bronze finish and measures 3 1/2" wide x 1/3" long x 1 1/2" high. 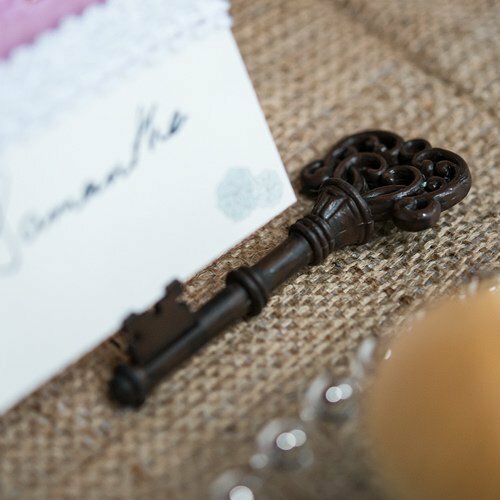 Place card not included. Hello! How much would it cost to have a personalized message on the pot?